If you have questions about access to parking spaces and passenger loading zones, including the required number, location, vertical clearances and other specifications, this is the session for you. Other topics to be addressed include van spaces, the number of spaces required in medical care facilities, alterations, signage, valet parking and more. 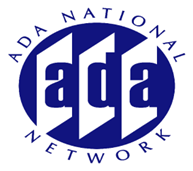 The information will cover requirements in the current standards under the Americans with Disabilities Act (ADA) and the Architectural Barriers Act (ABA) along with upcoming revisions to the ADA standards.